Cultural insensitivity is, in my opinion, a sign of deep disrespect. I leant this the hard way in Varanasi (India) when I “innocently” took a photo of the cremation pyres on the banks of the Ganges River. It took my guide a lot of talking, much apologising and a payment of money to appease the men who supply wood for the pyres. In my defence (but no excuse), I had not been informed not to take photos of the cremations. I was mortified by my wrongdoing. Even though this occurred a number of years ago, I still beat myself up about it. I was not new to international travel and would have described myself as culturally sensitive. To this day, I cannot explain what made me think it was okay to take such a photo. 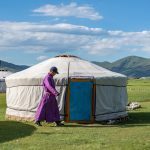 So, when our guide in Mongolia advised us on local customs before our 2-night stay with a nomadic family, I felt a deep sense of appreciation. And that of relief; that I was not going to commit any social or cultural faux pas through ignorance. I have a strong belief that knowledge is power, and I was about to meet this family in a “powerful” (culturally knowledgeable) position. 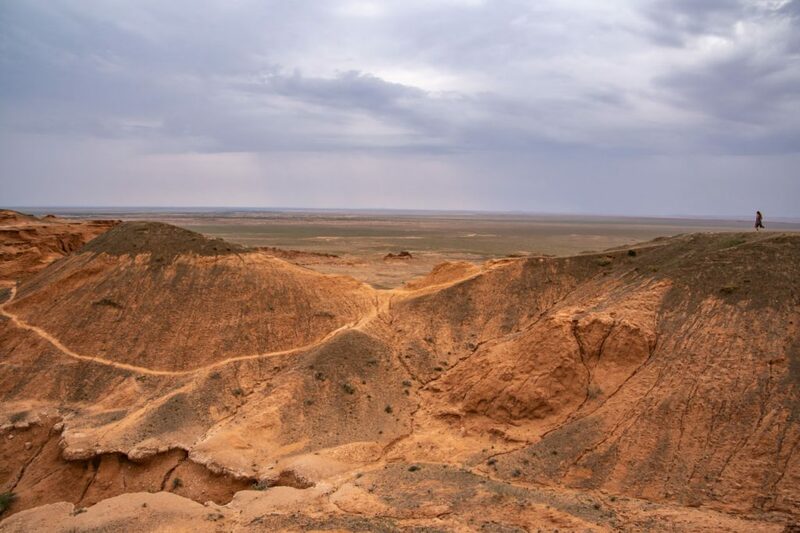 So, what lessons did I learn from my Mongolian guide? First up, our guide requested we not immediately take photos of the family but to get to know them a little first. This, I felt, was a more than reasonable request and one I knew I would have no trouble complying with because I often feel uncomfortable photographing people. However, given this was a photography tour I was on, the family expected photos to be taken of them as they knew this was a part of our learning. 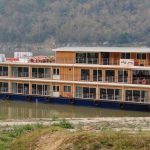 We were then informed that we can ask any questions we want, with the guide translating for us as the family doesn’t speak any English. I suspect this also gave the guide the inadvertent opportunity to ‘censor’ any inappropriate questions – a good filtering system. When you enter a ger, you must always go to the left. Don’t circle the interior of the ger. If you need to go to the right once inside the ger, go back to the door and then go to the right. Do not touch a person’s head or shoulder as to do so is taking that person’s luck away. Touching a person’s feet (with your feet) signifies you want to challenge that person to a fight. If you do touch a person’s feet unintentionally, shake hands with that person or touch their arm. By doing this you are saying, “I didn’t mean that” (to challenge to a fight); it removes the challenge. Do not throw tissues in the fire. The fire is a holy thing and throwing a tissue in the fire is contaminating the fire. This was important to know as one by one we were coming down with colds. Whatever is offered (that is, food or drink) must be accepted and you must taste whatever is offered or, at least pretend to taste it by putting the food or drink to your lips. There is another alternative if offered a glass of vodka. You can put your ring finger in the vodka, remove your finger from the vodka and flick your ring finger into the air. Thereby, flicking drops of vodka in the air. Don’t step on the threshold of the ger. You must always step over it. When offered something, before taking it, touch it with your right hand while supporting the elbow with the left hand. This is also followed when giving something. The exception to this is when offered or giving a meal. When exiting religious buildings, eg temples, step out backwards so that you do not show your back to the interior. To show your back is to show disrespect to the gods. The children in Mongolia don’t get their hair cut until between 2 and 5 years of age. For girls, this is usually between the ages of 2 and 4 years. Whereas boys will have their first hair cut at 3 to 5 years of age. The reason for leaving the first cutting of children’s hair until this age is because it is believed they are born with their mother’s hair. The cutting (more like shaving) of the hair signifies the child becoming their own person and is celebrated with a hair cutting ceremony. Blue is the most sacred colour in Mongolian culture; representing Mongolia’s eternal blue sky. The blue khadag is the most common and can be given to anyone, regardless of age, to show respect. White represents milk and is the symbol of purity. It is often given to mothers. Yellow represents the sun and is the symbol of wisdom. It is given when you greet monks. Green represents earth; being in tune with nature. It is the colour of inner peace and is only used in religious rituals. Red represents fire and blood (as in circulation). It is the colour of life; of prosperity. As with the green khadag, it is not used to greet people but is only used in religious ceremonies. To give or offer a khadag to someone or something is to show respect; the ultimate offering. To give a blue khadag to a person or animal is the highest form of respect. Driving through Mongolia, I would often see sheep and horses with a blue khadag tied around their neck. Our guide explained this is showing respect for the animal and it can’t be killed/eaten. 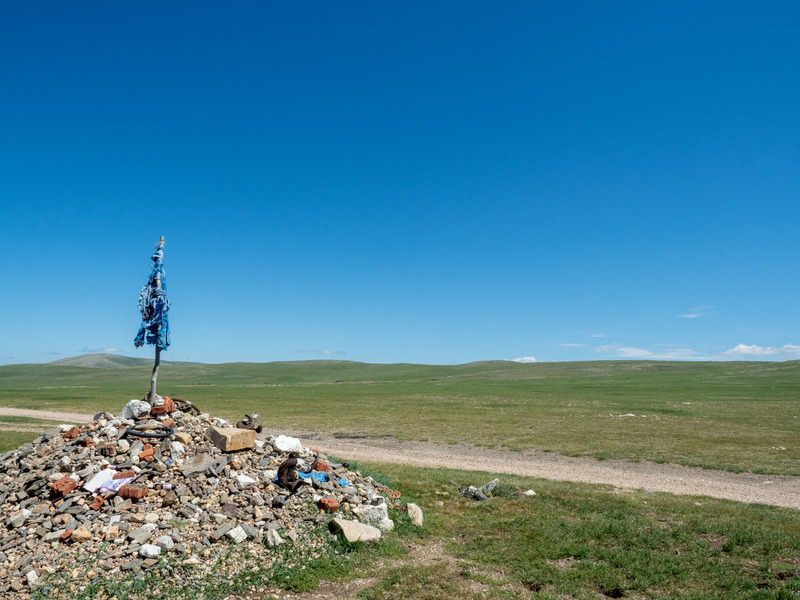 The cairns (shrines) throughout Mongolia are mounds of rocks and stones for offerings. The cairns (stone shrines known as ovoos) that dot Mongolia are festooned with khadags, primarily blue ones. Most Mongolians are Buddhist, but Shamanism still remains an integral part of Mongolian life. The cairns are erected by locals and travellers as a means of providing offerings to the local spirits; thus, showing their respect and honouring the spirits of the surrounding land. When you come across a cairn, you should always stop and show your respect by making an offering. The ritual entails walking around the cairn three times in a clockwise direction. 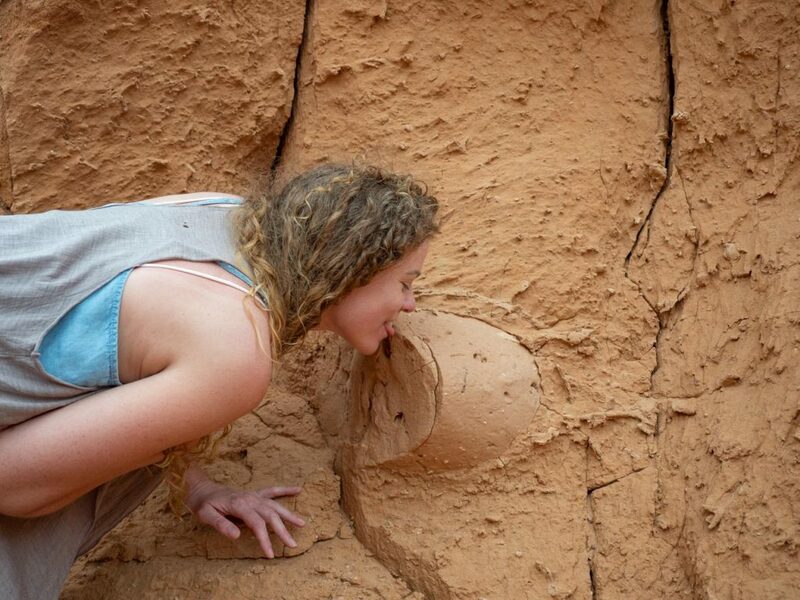 As you do so, you make an offering while making a prayer or wish. This might be for a safe journey, good health, good fortune or for much needed rain. The offering can be a khadag, food, money, vodka, etc or a small stone. If you are in a hurry and don’t have time to stop at a cairn, the driver will honk the horn three times. At one cairn, our driver offered a blue khadag. We settled for a small stone each time we stopped at a cairn – and there were many. My conclusion? Don’t forget to know before you go. With Sri Lanka being named the destination for 2019, tourism will only increase in this teardrop shaped nation. 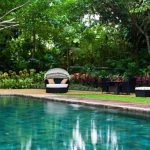 Finding places to visit away from the maddening crowds is a very good reason to visit Geoffrey Bawa’s garden as it is largely undiscovered by tourists, being something different from the ‘usual’ tourist attraction. Not to be confused with Brief Garden – the former estate of Geoffrey’s older brother, Bevis. Who was Geoffrey Bawa you say? He was Sri Lanka’s most well-known architect. In fact, he is deemed to be the most influential Asian architect of his time (dying in 2003). For those architect enthusiasts out there, he was one of the founding fathers of the architectural style known as, “tropical modernism”. Bawa is probably best known for designing Sri Lanka’s Houses of Parliament. 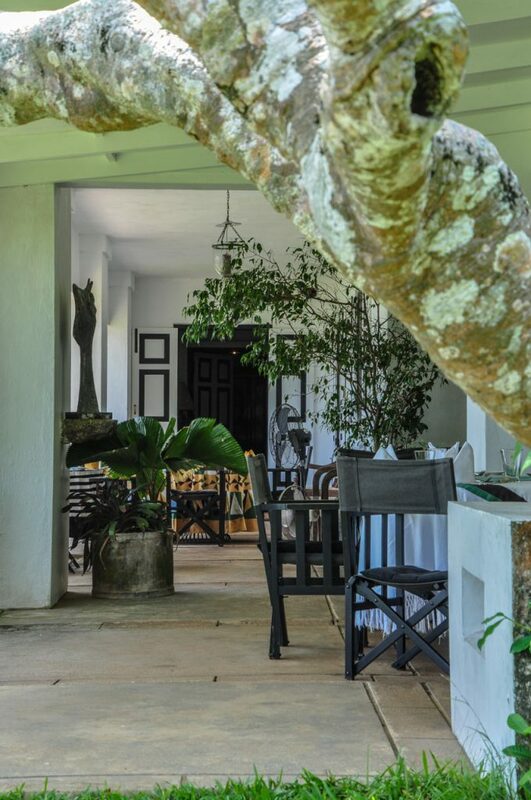 Living permanently in Colombo, Lunuganga Estate, situated on the banks of Dedduwa Lake in Bentota (midway between Colombo and Galle), was Geoffrey Bawa’s country retreat. Here, on 23 acres, he spent 50 years turning this abandoned rubber plantation (and prior to that, a cinnamon plantation) into gardens of multiple shades of green. We explored the gardens with the Head Curator on a 2-hour private tour. Don’t expect to find manicured gardens of colourful flowers, neat borders and gurgling fountains. 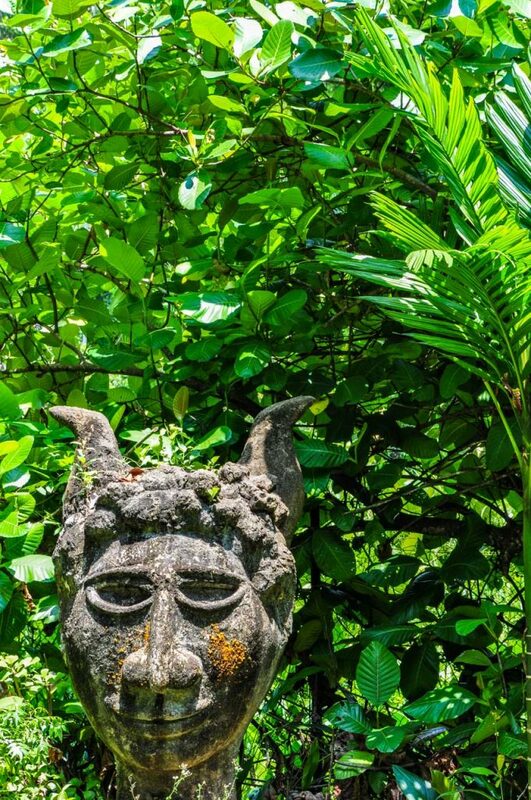 But do expect a tamed, tropical wilderness of sudden vistas, intimate groves, sculptures and wide landscapes. I found Bawa’s garden to be a place of peace, tranquillity and restfulness. 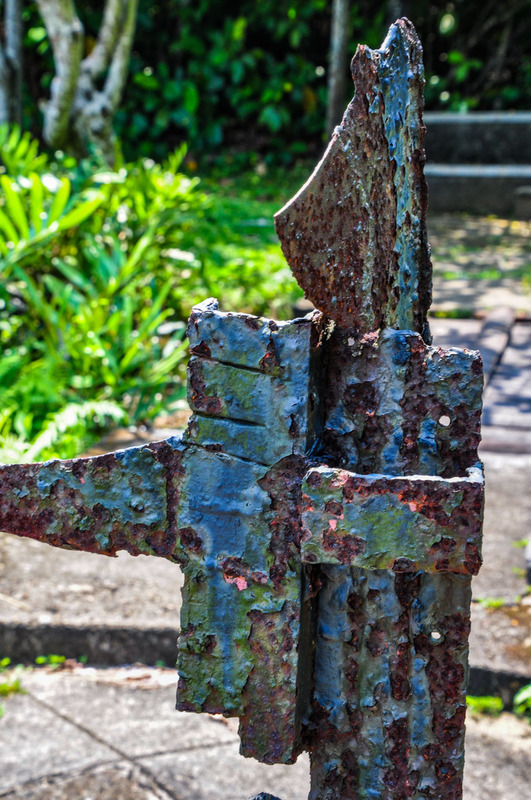 Come take a stroll with me on a visual tour of Geoffrey Bawa’s garden. 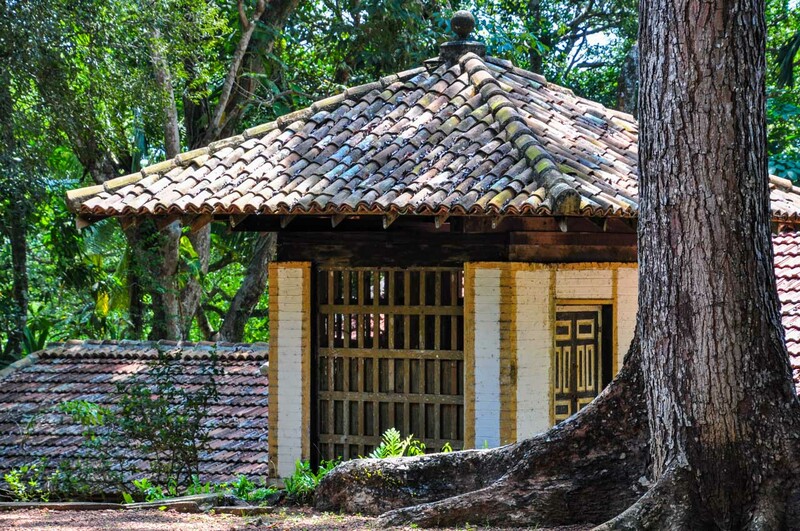 Bawa designed Sri Lanka’s Parliament House and then designed his hen house (chicken coup) on the estate in the same style. Take from that what you will! Sandela Pavilion is an open, airy space and served as Bawa’s office. From here he had a lovely view of the lake and could see anyone who arrived at the main gate. The Red Terrace derives its name from the red laterite ground surface, produced by the decomposition of the underlying rocks. 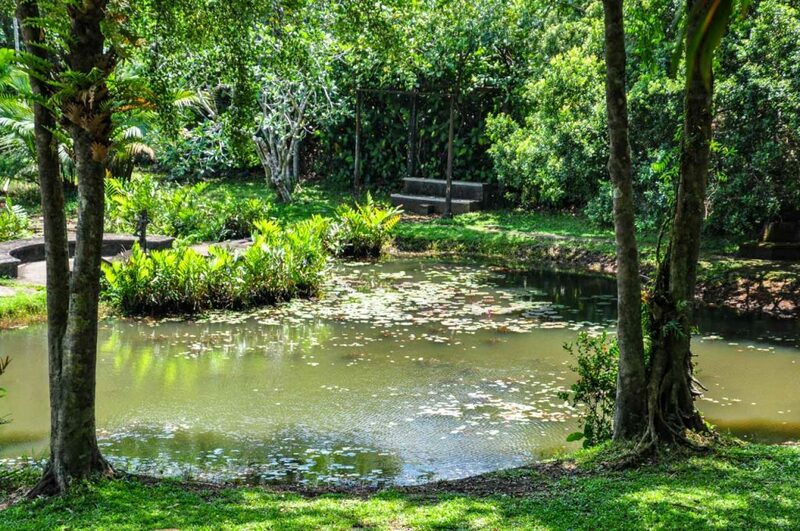 The water garden pond is shaped like a butterfly and covered with water lilies. The area has a number of sculptures and a bench seat beside the pond in the shade of trees. Here Bawa would sit and ring the garden bell for his gin and tonic to be brought to him. There are a number of sculptures around the garden. The sundial sculpture (above left) in the water garden has an air of decline and abandonment. While the sculpture of the pagan god, Pan (above right) was called “Hindu” Pan by Bawa. No reason was given as to why he called it such. 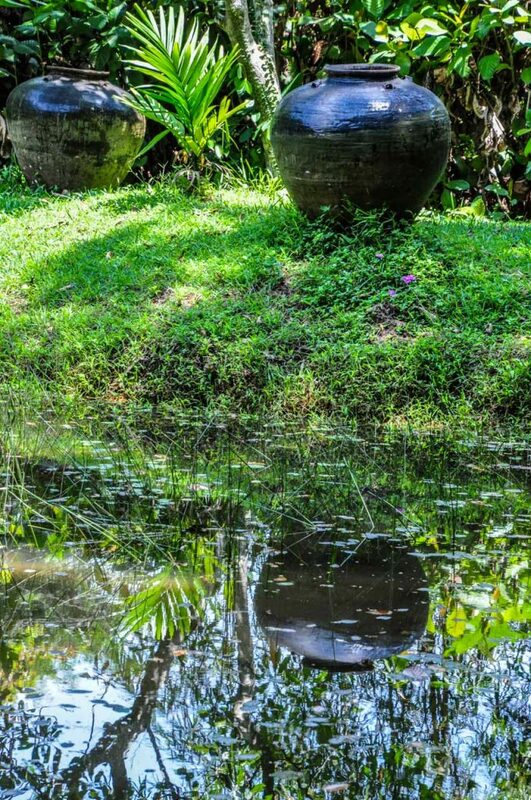 In a setting of sloping grassy plains with the occasional tall tree, the Ming jars that dot this part of the landscape were added here by Bawa. The estate is set in Sri Lanka’s wet tropical zone. 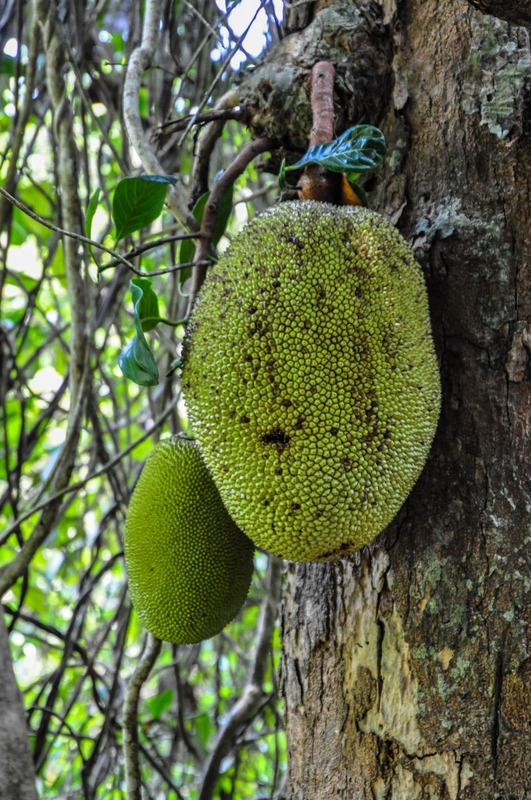 So tropical fruits, like the Jack Fruit, are not unknown and grow to large proportions. 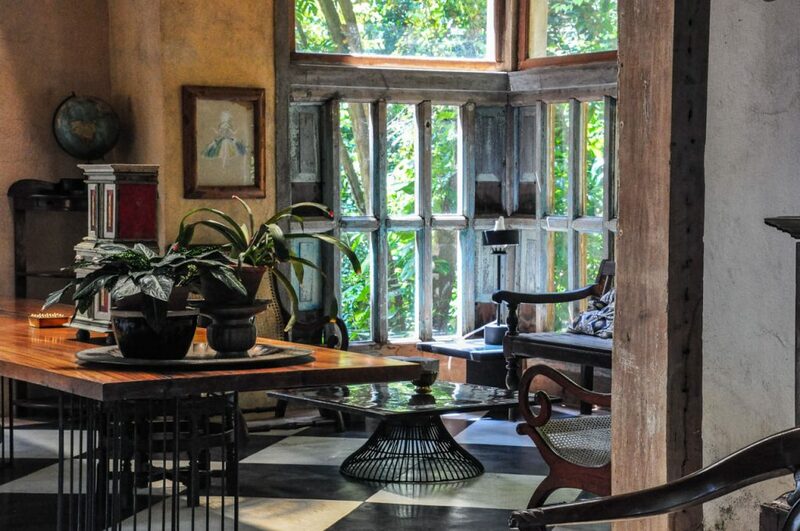 Cinnamon Hill House was used by Bawa as a studio from where he created his architectural designs. It was the last addition to the Garden. 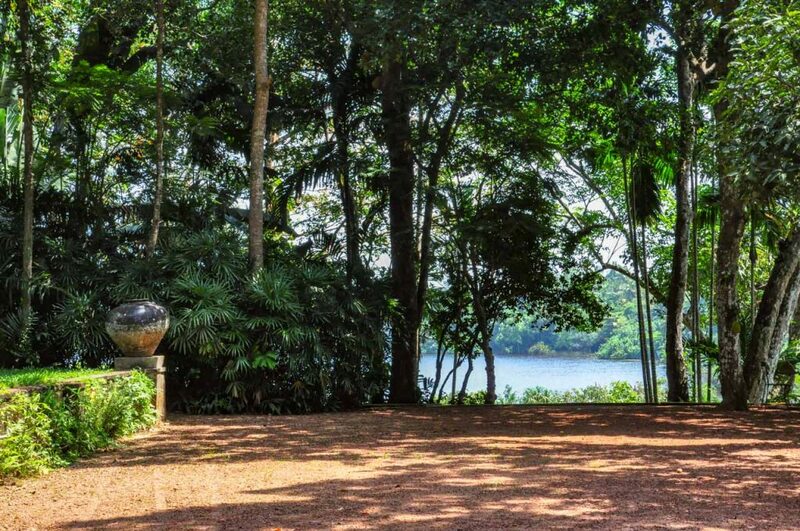 On Cinnamon Hill sits Geoffrey Bawa’s former home on the estate. Lunch on the wide veranda of Bawa’s former home, with its views over the lake and a set menu of traditional Sri Lankan curries, was a visual and gastronomic pleasure. The gardens are open to the public and the buildings on the estate are run as a country house hotel. Should you like to have lunch whilst visiting the estate, a reservation is essential. 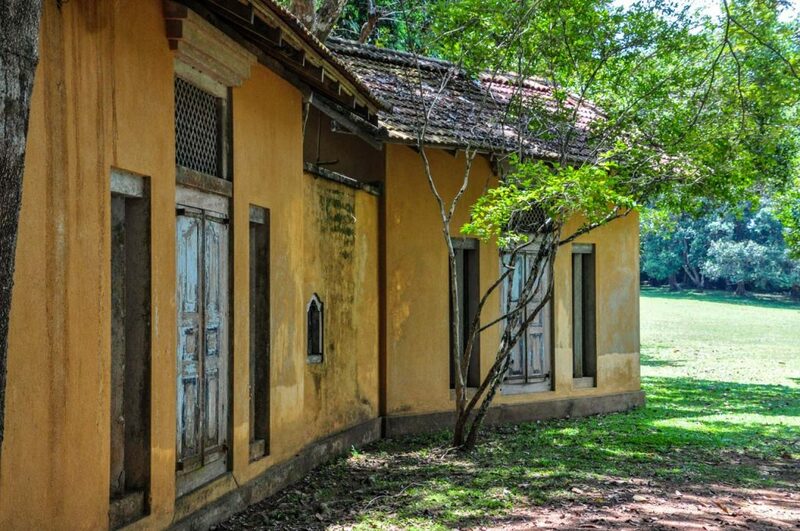 For more information, go to the Geoffrey Bawa Trust website and click on “Lunuganga Country Estate”. 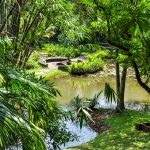 Wanting to know more on what to do in Sri Lanka? Click on the link to read about my walk along the railway line: Walking the Line in Sri Lanka from Ella to Demodara.